Hey, Numbskull! This gnarly looking dimwit ain't too bright, but his colors sure are. 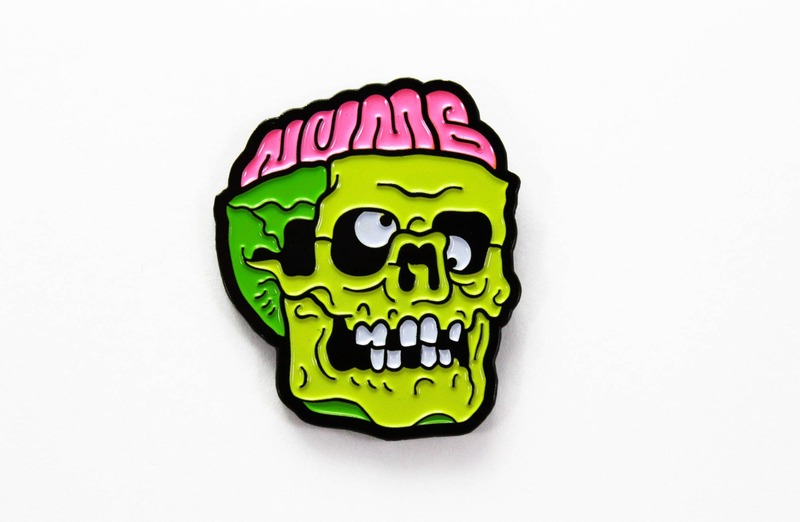 The colors on this pin are so obnoxious and outrageous, it's gonna melt your face right off! Each one measures 1.25" and comes with a black rubber clutch on the back. Great quality. Great art. Makes a great gift.